Design With Heart creates beautiful, uncluttered designs, bearing universal—and timely—messages of love. They range from romantic and sincere to clever and cheeky. Graphic designer Jason Bradley-Krauss founded his company to make saying what’s on our hearts and minds easier, no matter what kind of love we’re celebrating. 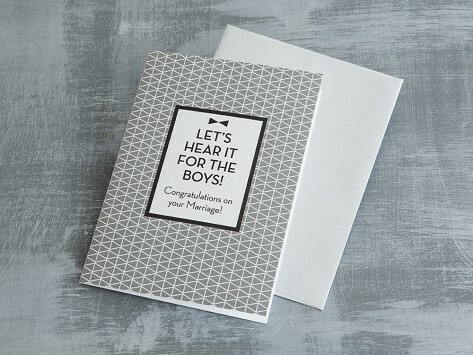 Design With Heart is making sure the greeting card industry is keeping up with marriage equality. It’s a studio that creates cards made for celebrating any kind of relationship, bearing universal messages of love and joy. Jason Bradley-Krauss can tell you firsthand that up to this point, there haven’t been enough options for those messages. Jason is an award-winning graphic designer who married his longtime partner, Chris. The newlyweds were opening cards from well-wishers when they discovered they received six of the same card. Jason quickly got to work on creating some new ones. 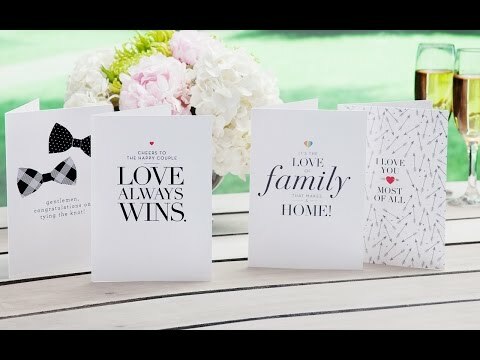 Today, Design With Heart creates gay marriage and other celebratory cards with a credo in mind: "love, no matter who you are or who you love." It’s reflected in beautifully bold, uncluttered graphics and messaging ranging from romantic and sincere to clever and cheeky. You’ll be able to find something tailored to what you really want to say. . . and you won’t have to worry about five other people saying the exact same thing.